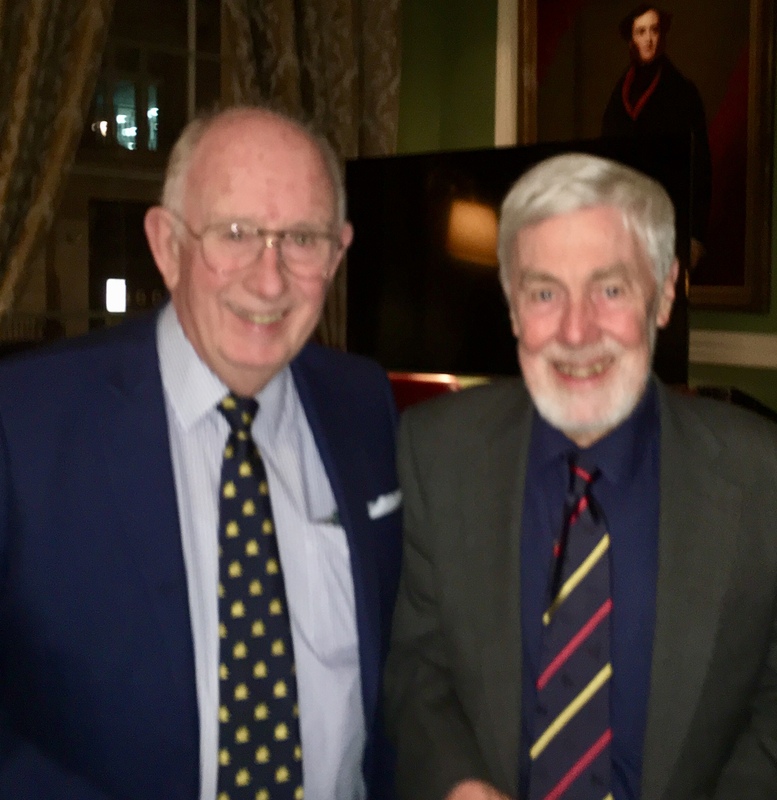 The Bangor Grammarians 34th annual London Dinner was held in the history-steeped Carlton Club near St James’s Palace on Friday 22 March, with more than 60 years separating the youngest and oldest attendees. Dr Stephen Montgomery, who was commended by one and all for his organisational endeavours, introduced Principal Elizabeth Huddleson, Grammarians chairman Terence Bowman and newly-elected Board of Governors chairman Billy McCoubrey, who had all travelled over from Northern Ireland to attend the Dinner. He extended best wishes to John Adrain, Brian Thompson, Allan Smith and Michael Robinson, who, for one reason or another, were all late withdrawals. 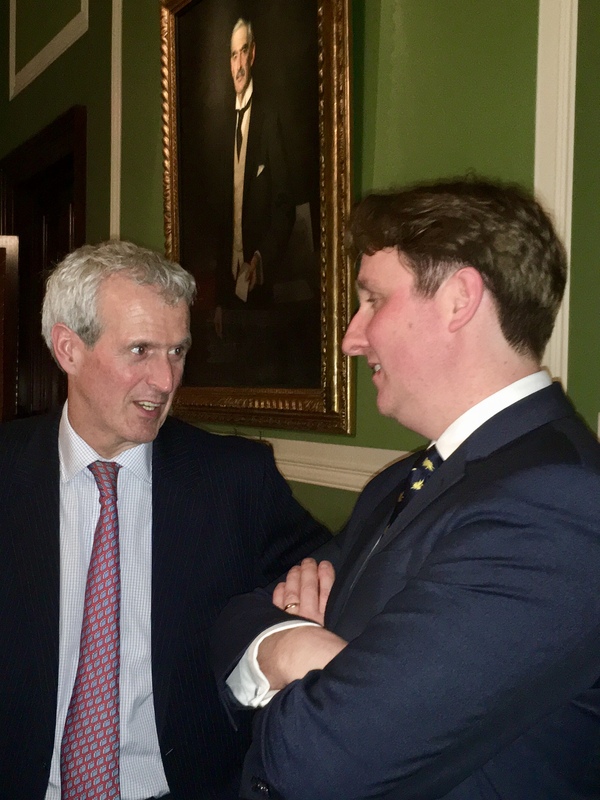 He also expressed sympathy to the wife and family circle of former Headmaster Tom Patton, a regular Dinner attendee, who passed away in September 2018. 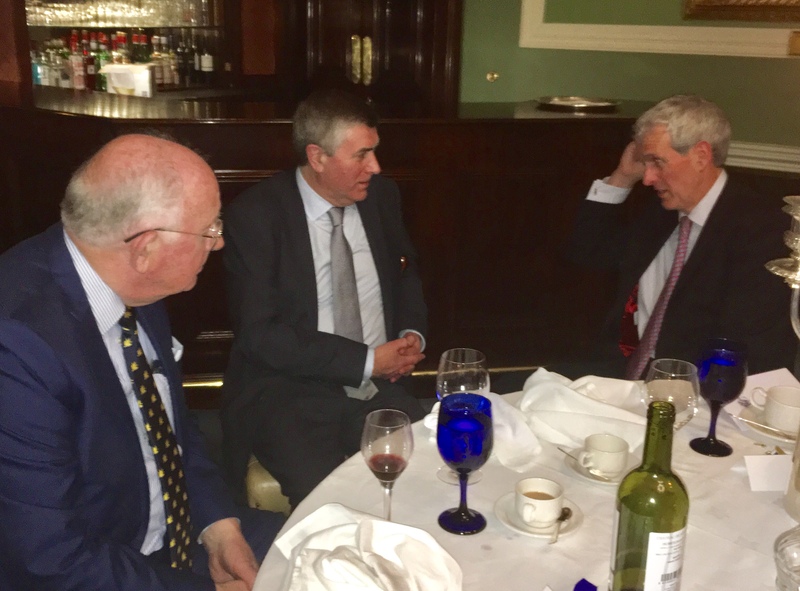 Following Grace, which was said by past organiser Mike McConnell, everyone enjoyed a sumptuous meal of potted pork belly, roasted rack and slow braised shank of lamb, and concluding with a tangy lemon posset. Celebrating the best of British produce is the essence of the club’s cuisine. In addition, guests were able to choose from an extensive selection of wines to suit all palates and pockets. 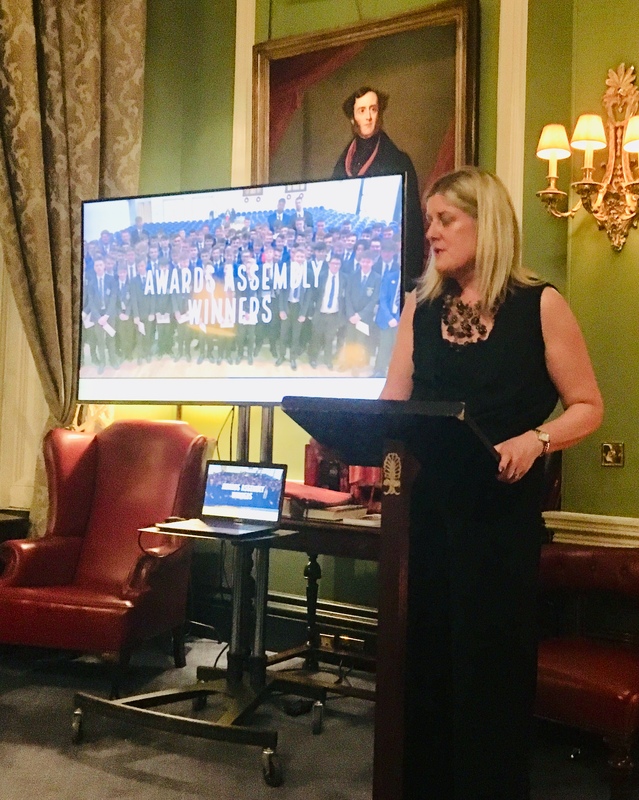 Mrs Huddleson delivered an upbeat address on the past year at Bangor Grammar School, illustrated by a copious selection of photographs projected on a screen, but she also stressed that budgetary concerns were continuing to impact on many areas of school life. Grammarians chairman Terence Bowman, in proposing the toast to the School, singled out Dinner attendees Michael Rea and Mark Hutchinson, who both featured on the recently unveiled Sporting Wall of Fame. 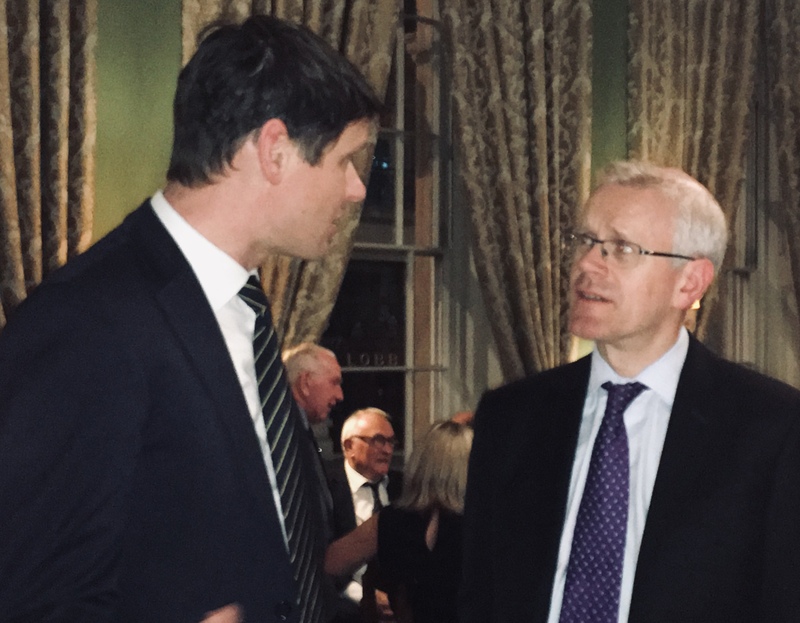 Responding to the toast, Board of Governors chairman Billy McCoubrey spoke of the vital role past pupils could play to ensure BGS maintained its important position within the Northern Ireland schools structure. He indicated that an updated announcement on the Alumni Project was imminent. Following the singing of The School Song with typical gusto, the conversation flowed amongst young and old alike until late in the night. 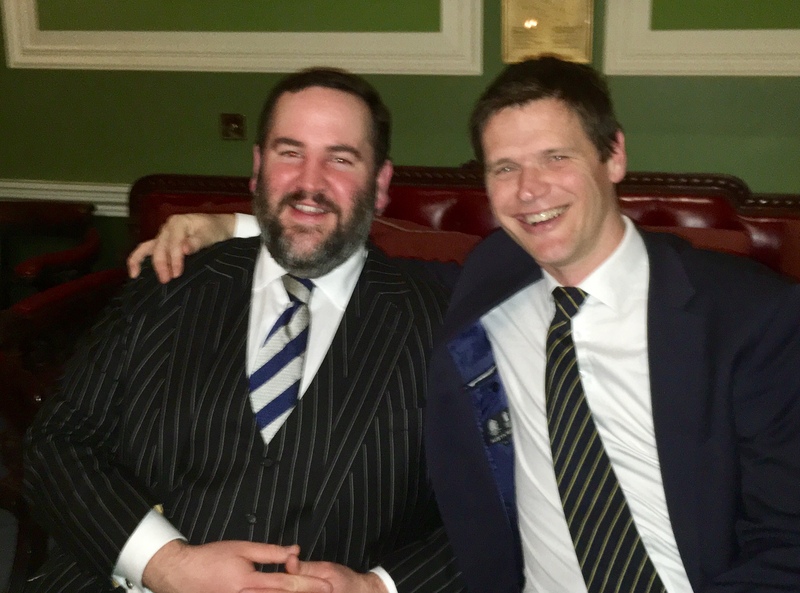 There are few better opportunities for past pupils, who live away from Bangor, to meet in a relaxed and convivial atmosphere and to chat about old and current times. 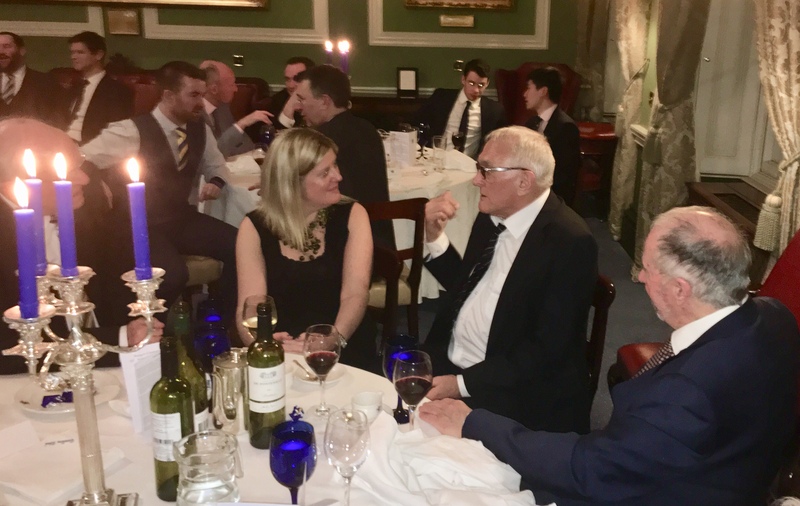 It would be well worth marking the date for the 2020 London Dinner in your diaries – it has been provisionally set for Friday 20 March, once again at the excellent Carlton Club venue.